There are too many people who have mental health problems and are made to feel isolated, ashamed or even worthless. Time to Talk Day is a chance for all of us to be more open about our mental health and to talk, listen and change lives. I suffer from severe depression and anxiety. There, I have said it. And, you know what? The world didn't fall apart and there was no lightning bolt and I wan't marched off the premises. Why would I want to hide something that I have been living with, day in and day out for a long time now. The answer can only be summed up by one word: fear. I have always been scared of how other people would judge me, treat me or speak to me differently, or how I might be singled out as the person who needs to be 'handled with care' or 'wrapped in bubble wrap' and how that would affect my work and uni life. My depression has made me stronger, more resilient and definitely more determined. I, along with nearly 1 in 4 people in the UK suffer from symptoms regularly. But what does living with depression mean day to day? When it's at it's complete worst, it means that I have to remind myself to look after myself (getting enough sleep, not sleeping too much, washing my hair, cutting down on a lot of social gatherings, trying to avoid stress and remembering to talk to my family and friends, taking my medication everyday). When it's at its best, it means carrying on through my day to day life as usual, being able to see my friends, going to places I haven't been before and enjoying my life. There are so many different reasons for why depression and anxiety hits, and it varies for everyone. For me, it was a lot of small things happening one after the other and building and building to the point where I could not process what was going on. It felt like whenever I got over one thing, another would come along and smack me back down again, it was a never-ending cycle. Other times it has just been like a bullet with no obvious trigger. That is when all the hard work really starts. Getting back to 'normal' by using coping mechanisms but the most important thing, talking. I will admit that I am terrible about talking about myself, my interests. Asking for help from others is another big no no. But by being more open with my work colleagues, friends and family, definitely helps - I have people who are checking in with me regularly and let's be honest, we all need this from time to time, depression or no depression. Why have I finally ended up writing this blog post? Well, I accept that some people won't feel comfortable openly talking about mental health, gender, sexuality etc. But disability remains the huge elephant in the room so let's think about how we can all work together to support others who need it, not when they fall down. Yes, I have depression and anxiety, but I am also childish, funny, opinionated, sarcastic, brave, clever and loving. 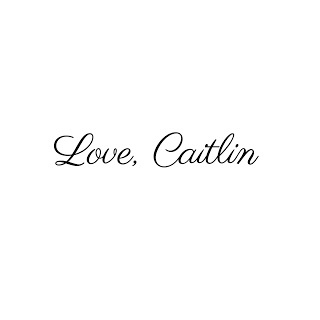 I am grateful for everyone's support and their kindness, but please try to remember that - I am still Caitlin.